Cover by Doc Savage cover artist Joe DeVito! Philip José Farmer, biographer of Lord Greystoke, has turned his superb research and narrative skills to one of the greatest heroes of our time: Doc Savage, the bronze champion of justice. 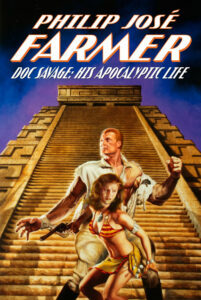 Now, at last, the incredible life story of the real man behind the exploits in the Doc Savage pulp novels can be told, including: his true name (Dr. James Clarke Wildman, Jr.); his family background, covering his relationship to such stalwarts as Lord Greystoke, Sherlock Holmes, Sam Spade, James Bond, and Fu Manchu); detailed information on some of his most devilish opponents—John Sunlight, the Mystic Mullah, and Mr. Wail; a summation of some of Doc’s most amazing inventions; and biographies of the Fabulous Five—Monk, Ham, Renny, Long Tom, and Johnny—as well as the group’s Lady Auxiliary and Bronze Knockout, Doc’s own cousin Pat Savage! Together with other data and brilliant deductions, Philip José Farmer offers an amazing account of this remarkable man’s astonishing career! 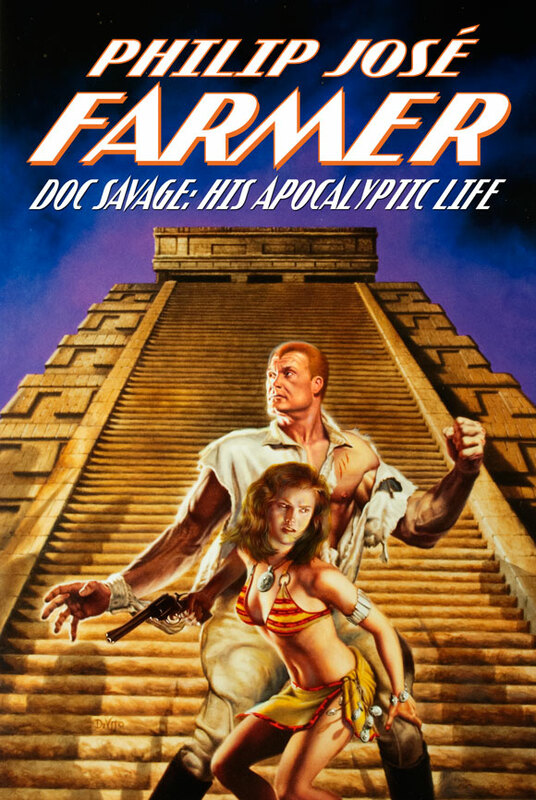 This newly revised edition of Doc Savage: His Apocalyptic Life also features a brand new foreword by Farmer and pulp expert Win Scott Eckert, updates to the “List of Doc Savage Stories” including the latest novels, and rare material culled from Mr. Farmer’s notes. There are also trade paperback and ebook editions (without the bonus material) published by Altus Press, you can order those by following the links to amazon below.